Here we see Mary and Martha serving Jesus. 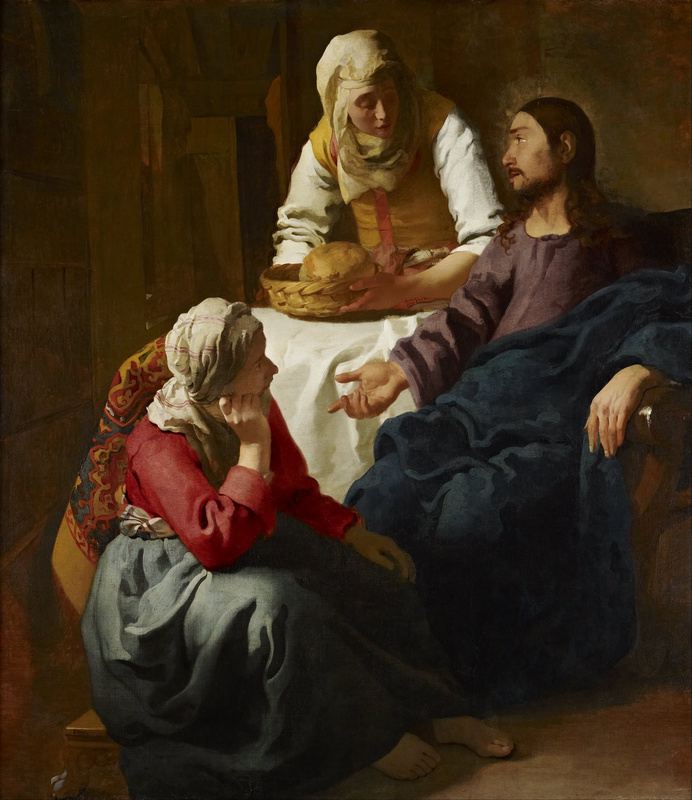 We note Martha holding a basket with bread and Mary sitting at His feet listening. The Second Vatican Council’s teaching that the role of the Christian lay person is to engage in the affairs of the world and order them according to the law of God. We cannot waste our time but should be busy like Martha. We should do what God is asking of us, not what we feel like. We should work well, like Martha. We should do everything for Jesus, like Martha. In order to do this we must spend some time each day in prayer like Mary. This entry was posted in Meditations and tagged Furrow, Jesus Christ, John Flader, Martha and Mary, Meditation, podcast, Prayer, sanctifying work, St Josemaria Escriva, work on August 29, 2016 by frjflader.